SKU: Healing Depression. Tags: Bronwyn Barter Book, Dependancy on Depression, Depression, Healing Depression, Healing Depression Book, Manage Depression Book. This revolutionary book debunks the myths about depression, and finally provides the solutions we’ve all been waiting for. No drugs necessary! No matter the trigger, clinical depression can make you feel like you’re stuck in a pit of quicksand. Many turn to common remedies: doctors, pills, or self-medicating with drugs or alcohol. But even the most dedicated can find themselves dragged back into their depression at the very moment they finally set themselves free. 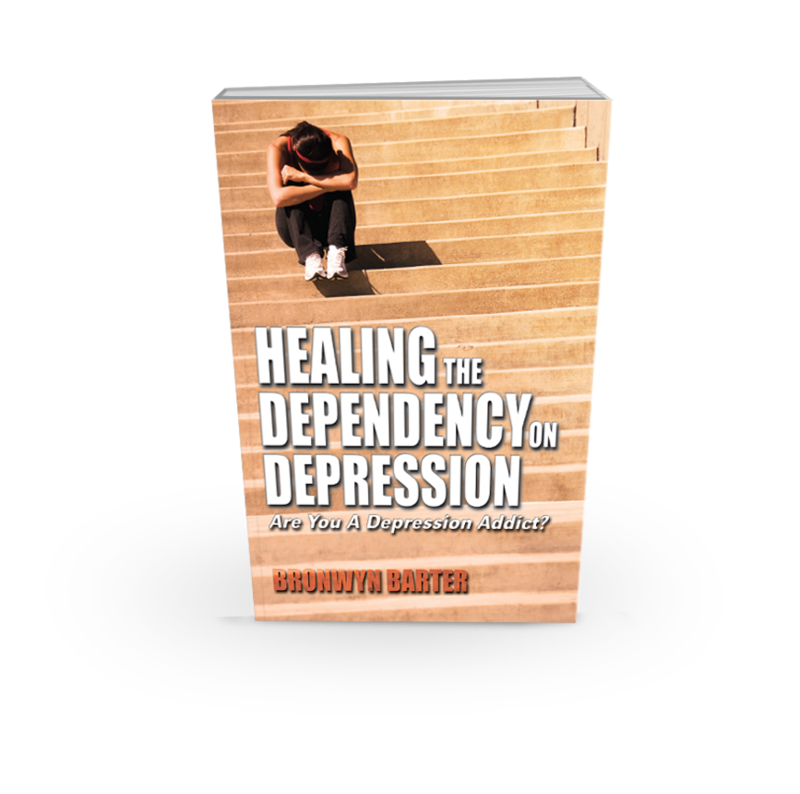 It is this cyclical pattern of depression that inspired Bronwyn Barter to write Healing the Dependency on Depression. Throughout her career as a Rebirther/Breathwork Practitioner, she has come into contact with many people suffering from depression, and all of them share the same complaint: nothing else is working! Bronwyn now brings us her own unique take on depression, and how to heal it once and for all. Throughout the book, Ms. Barter utilizes new perspectives on the various types of depression, case studies from her own clients, and natural approaches to healing in order to provide a new understanding of the causes of – and cure for – depression. Read this life-changing book, and get off the merry-go-round once and for all! Author Bronwyn Barter is a Rebirthing Practitioner and Trainer, and has worked with many clients with depression throughout her career. She currently lives in Adelaide, Australia, and is working on her new book about the effects of depression on relationships. Why is Breathwork so beneficial for the personal growth of those who wish to change? Subscribe to our newsletter to receive information on rebirthing, breathwork. Arrange a time to speak to Bronwyn Barter today, send through your desired time and date and we will get back to you with a confirmation.